I went out the back door this morning to do some work and was stopped in my track by this first paperwhite of the season. 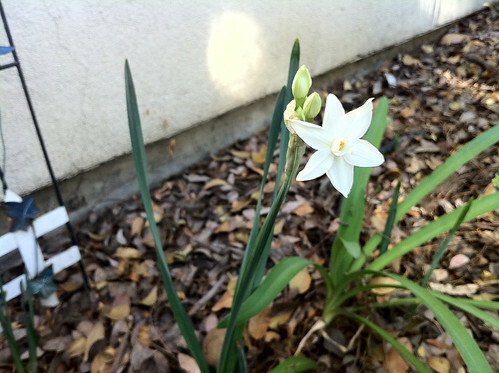 I had noticed the bulb foliage starting to pop up once we got our first rain, but the flowers always seem to arrive unannounced. 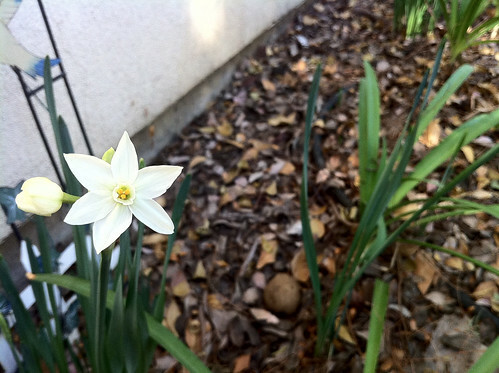 Here is another paperwhite next to the first including several more buds just waiting to open. 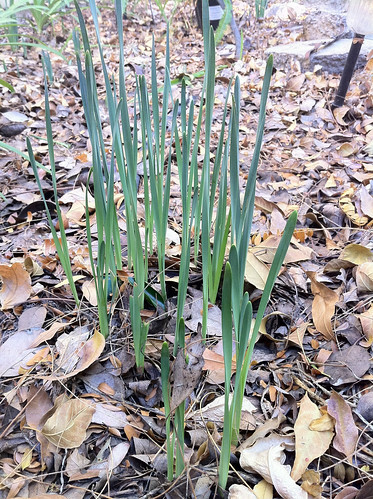 Finally, here are the leaves of a bunch of snowbells which are quick to follow on the paperwhites. Next up will be the big, yellow, daffodils which have started to put on quite a show each year. Categorized under: Bulbs, Photos, Plants.